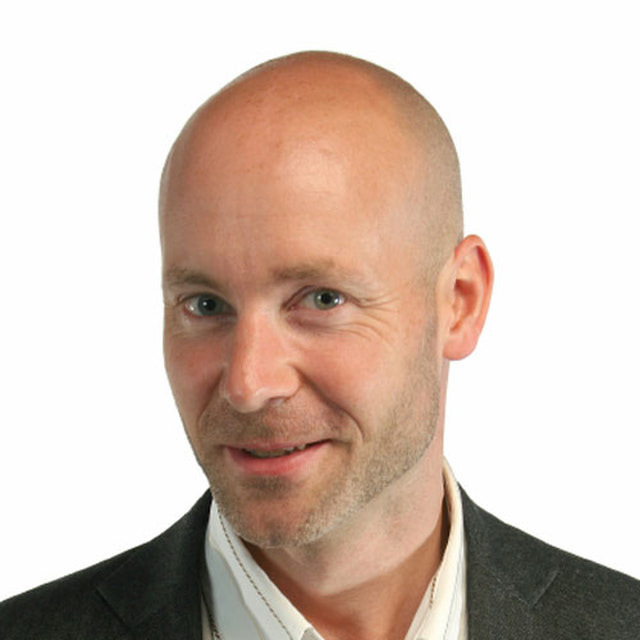 Humility is often confused with the polite, self-deprecation of saying you’re not much of a bridge player when you know perfectly well you are. Conscious or otherwise, this kind of humility is a form of gamesmanship. 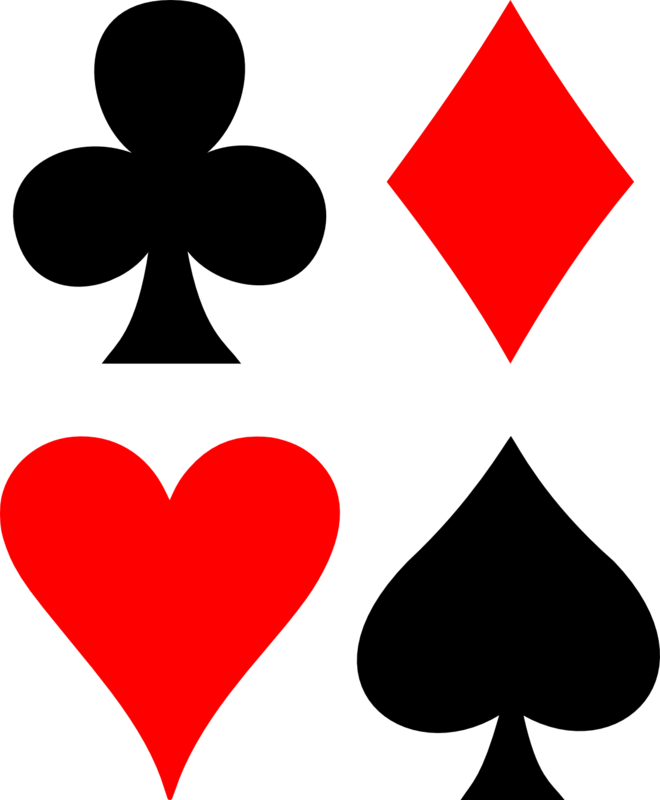 If you really aren’t much of a bridge player, you’re apt to be rather proud of yourself for admitting it so humbly. This kind of humility is a form of low comedy. True humility doesn’t consist of thinking ill of yourself but of not thinking of yourself much differently from the way you’d be apt to think of anybody else. It is the capacity for being no more and no less pleased when you play your own hand well than when your opponents do. The complaint against Moses’ wife was just a cover; the real problem was their taking offense at Moses getting more credit than they. It’s pride. is the leader of my people. 9The LORD became angry at Aaron and Miriam. And after the LORD left 10and the cloud disappeared from over the sacred tent, Miriam’s skin turned white with leprosy. Aaron’s action of turning to Moses as the only one who can help is in itself an ironic confirmation of what Aaron and Miriam had earlier denied—Moses’ unique relationship to God. This was appropriate, because Miriam had done something even more shameful than spitting in her father’s face; she tried to bring down a leader of God’s people with petty, false, and self-interested criticism. 15The people of Israel did not move their camp until Miriam returned seven days later. 16Then they left Hazeroth and set up camp in the Paran Desert. Having just read one of the most shameful and saddest chapters in the Old Testament, let’s take a break. Now HERE is an odd connection to the whole Numbers story — do you remember the “Moses Supposes” sequence from the movie Singing in the Rain? As you watch Gene Kelly and Donald O’Connor sing and dance, you may start to feel more cheerful! 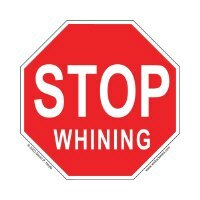 1One day the Israelites started complaining about their troubles. The LORD heard them and became so angry that he destroyed the outer edges of their camp with fire. 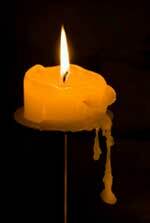 2When the people begged Moses to help, he prayed, and the fire went out. 3They named the place ” Burning,” because in his anger the LORD had set their camp on fire. “Dear Lord and Father of Mankind — forgive our foolish ways” — sung HERE by Katherine Jenkins to the British tune, Repton. 4One day some worthless foreigners among the Israelites became greedy for food, and even the Israelites themselves began moaning, “We don’t have any meat! 5In Egypt we could eat all the fish we wanted, and there were cucumbers, melons, onions, and garlic. The complaining heart romanticizes the past but it also exaggerates the problems of the present. Just how wonderful was life in Egypt, when they were slaves? How can they be starving when they have manna every day? 7The manna was like small whitish seeds 8-9and tasted like something baked with sweet olive oil. It appeared at night with the dew. In the morning the people would collect the manna, grind or crush it into flour, then boil it and make it into thin wafers. 10The Israelites stood around their tents complaining. I am your servant, LORD, so why are you doing this to me? What have I done to deserve this? You’ve made me responsible for all these people, 12but they’re not my children. You told me to nurse them along and to carry them to the land you promised their ancestors. 13They keep whining for meat, but where can I get meat for them? 14This job is too much for me. How can I take care of all these people by myself? 15If this is the way you’re going to treat me, just kill me now and end my miserable life! Our heavenly Father sends us frequent troubles to try our faith. If our faith be worth anything, it will stand the test. It is a poor faith which can only trust God when friends are true, the body full of health, and the business profitable; but that is true faith which holds by the Lord’s faithfulness when friends are gone, when the body is sick, when spirits are depressed, and the light of our Father’s countenance is hidden. A faith which can say, in the direst trouble, “Though He slay me, yet will I trust in Him,” is heaven-born faith. The Lord afflicts His servants to glorify himself, for He is greatly glorified in the graces of His people, which are His own handiwork. When “tribulation worketh patience; and patience, experience; and experience, hope,” the Lord is honored by these growing virtues. We should never know the music of the harp if the strings were left untouched; nor enjoy the juice of the grape if it were not trodden in the wine-press; nor discover the sweet perfume of cinnamon if it were not pressed and beaten; nor feel the warmth of fire if the coals were not utterly consumed. The wisdom and power of the great Workman are discovered by the trials through which His vessels of mercy are permitted to pass. Present afflictions tend also to heighten future joy. There must be shades in the picture to bring out the beauty of the light. Could we be so supremely blessed in heaven, if we had not known the curse of sin and the sorrow of earth? Will not peace be sweeter after conflict, and rest more welcome after toil? Will not the recollection of past sufferings enhance the bliss of the glorified? There are many other comfortable answers to the question with which we opened our brief meditation; let us muse upon it all day long. Choose seventy of Israel’s respected leaders and go with them to the sacred tent. 17While I am talking with you there, I will give them some of your authority, so they can share responsibility for my people. You will no longer have to care for them by yourself. The elders were there to help Moses carry the spiritual load — to help him care for and minister to the people, and to be a support for him in the ministry. God’s help was going to come to Moses through the support of godly men. This is a customary way for God to meet our needs. 18As for the Israelites, I have heard them complaining about not having meat and about being better off in Egypt. So tell them to make themselves acceptable to me, because tomorrow they will have meat. 19-20In fact, they will have meat day after day for a whole month–not just a few days, or even ten or twenty. They turned against me and wanted to return to Egypt. Now they will eat meat until they get sick of it. 24Moses told the people what the LORD had said. Then he chose seventy respected leaders and went with them to the sacred tent. While the leaders stood in a circle around the tent, Moses went inside, 25and the LORD spoke with him. Then the LORD took some authority from Moses and gave it to the seventy leaders. And when the LORD’s Spirit took control of them, they started shouting like prophets. But they did it only this one time. 26Eldad and Medad were two leaders who had not gone to the tent. But when the Spirit took control of them, they began shouting like prophets right there in camp. 27A boy ran to Moses and told him about Eldad and Medad. 28Joshua was there helping Moses, as he had done since he was young. And he said to Moses, ” Sir, you must stop them!” 29But Moses replied, ” Are you concerned what this might do to me? I wish the LORD would give his Spirit to all his people so everyone could be a prophet.” 30Then Moses and the seventy leaders went back to camp. 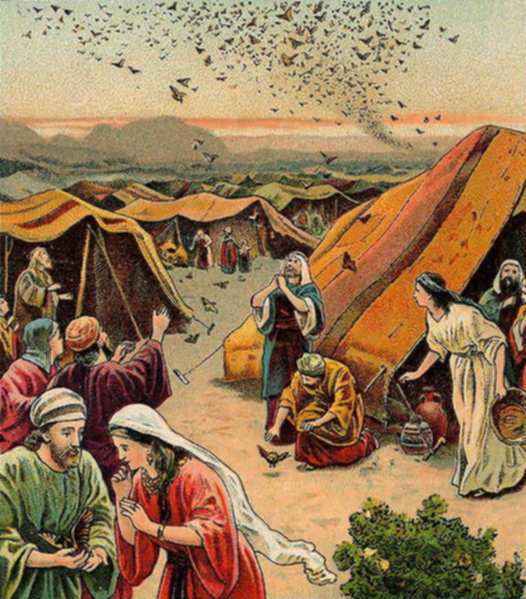 31Some time later the LORD sent a strong wind that blew quails in from the sea until Israel’s camp was completely surrounded with birds, piled up about three feet high for miles in every direction. 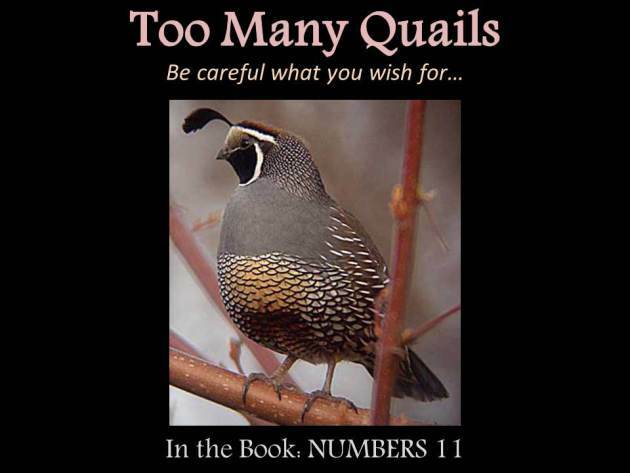 32The people picked up quails for two days–each person filled at least fifty bushels. Then they spread them out to dry. 33But before the meat could be eaten, the LORD became angry and sent a disease through the camp. 35Israel then broke camp and traveled to Hazeroth. like a river it flowed in the desert. 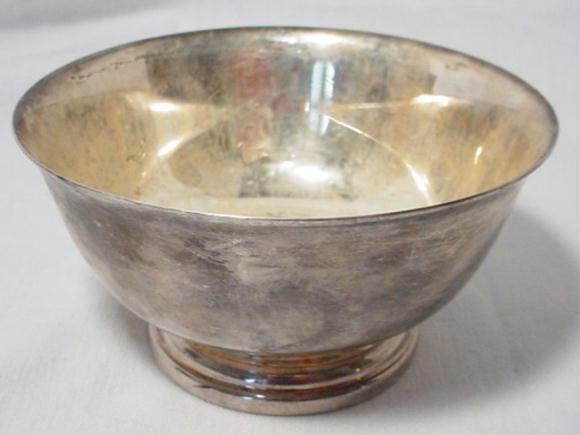 2Have someone make two trumpets out of hammered silver. These will be used to call the people together and to give the signal for moving your camp. 3If both trumpets are blown, everyone is to meet with you at the entrance to the sacred tent. 4But if just one is blown, only the twelve tribal leaders need to come together. 5-6Give a signal on a trumpet when it is time to break camp. The first blast will be the signal for the tribes camped on the east side, and the second blast will be the signal for those on the south. 7But when you want everyone to come together, sound a different signal on the trumpet. 8The priests of Aaron’s family will be the ones to blow the trumpets, and this law will never change. by the God of Jacob. 11On the twentieth day of the second month of that same year, the cloud over the sacred tent moved on. 12So the Israelites broke camp and left the Sinai Desert. One would be tempted to think that after such extensive preparation — a virtual transformation from slave people to Promised Land people — the actual entering into the Promised Land would be easy. This was not the case. The preparation was exactly that, preparation. Ahead of them are the greatest challenges, challenges that can only be met by faith. A soldier might think boot camp finishes something, but it doesn’t. It only prepares for a greater challenge: the actual battle itself. And some time later, the cloud stopped in the Paran Desert. 13This was the first time the LORD had told Moses to command the people of Israel to move on. 14Judah and the tribes that camped alongside it marched out first, carrying their banner. 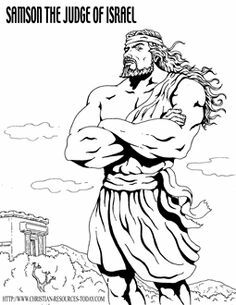 Nahshon son of Amminadab was the leader of the Judah tribe, 15Nethanel son of Zuar was the leader of the Issachar tribe, 16and Eliab son of Helon was the leader of the Zebulun tribe. 18Reuben and the tribes that camped alongside it marched out second, carrying their banner. Elizur son of Shedeur was the leader of the Reuben tribe, 19Shelumiel son of Zurishaddai was the leader of the Simeon tribe, 20and Eliasaph son of Deuel was the leader of the Gad tribe. 22Ephraim and the tribes that camped alongside it marched next, carrying their banner. Elishama son of Ammihud was the leader of the Ephraim tribe, 23Gamaliel son of Pedahzur was the leader of the Manasseh tribe, 24and Abidan son of Gideoni was the leader of the Benjamin tribe. 25Dan and the tribes that camped alongside it were to protect the Israelites against an attack from behind, and so they marched last, carrying their banner. Ahiezer son of Ammishaddai was the leader of the tribe of Dan, 26Pagiel son of Ochran was the leader of the Asher tribe, 27and Ahira son of Enan was the leader of the Naphtali tribe. 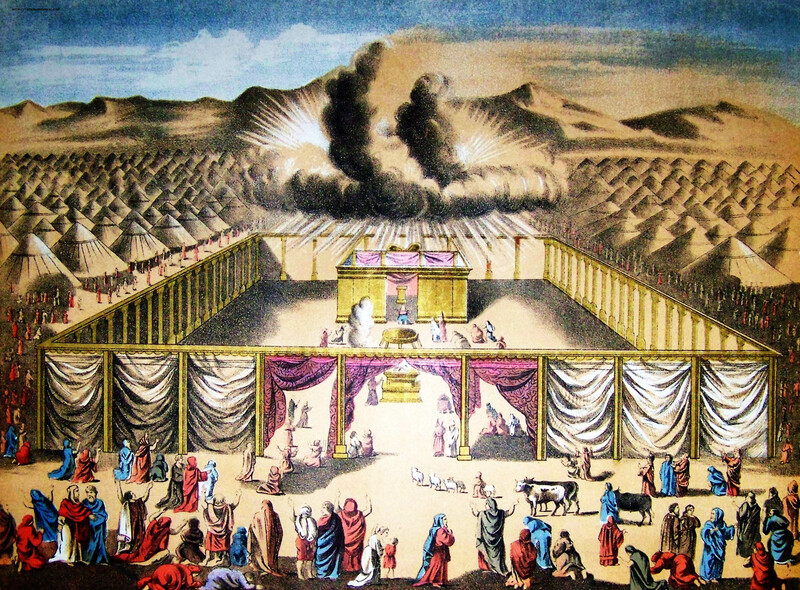 The tribes marched in the same order as they had been placed around the tabernacle. 1During the first month of Israel’s second year in the Sinai Desert, the LORD had told Moses 2to say to the people, ” Celebrate Passover 3in the evening of the fourteenth day of this month and do it by following all the regulations.” 4-5Moses told the people what the LORD had said, and they celebrated Passover there in the desert in the evening of the fourteenth day of the first month. Passover was meant to be a reminder of God’s “passing over” Israel in the judgment of the firstborn at the Exodus from Egypt. The blood of the lamb, applied to the door posts of the home, would be seen by the angel of God’s judgment — and seeing the blood, the angel would “pass over” and spare the home covered by the blood. Passover was meant to be a continual reminder of this occasion of being spared judgment, and of the deliverance that followed in the Exodus. Jesus fulfilled the Passover sacrifice by His death on the cross (1 Corinthians 5:7); the covering of His blood causes the judgment of God to “pass over” us. We are commanded to continually remember our occasion of being spared judgment and the deliverance that followed, by remembering Jesus’ work on the cross through the Lord’s Supper. If any of you or your descendants touch a dead body and become unfit to worship me, or if you are away on a long journey, you may still celebrate Passover. 11But it must be done in the second month, in the evening of the fourteenth day. 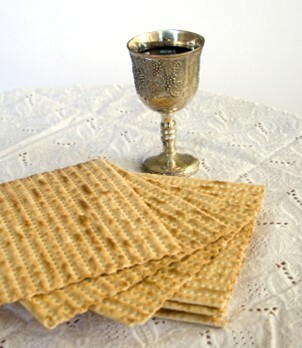 Eat the Passover lamb with thin bread and bitter herbs, 12and don’t leave any of it until morning or break any of the animal’s bones. Be sure to follow these regulations. 13But if any of you refuse to celebrate Passover when you are not away on a journey, you will no longer belong to my people. You will be punished because you did not offer sacrifices to me at the proper time. I don’t want you to forget, dear brothers and sisters, about our ancestors in the wilderness long ago. All of them were guided by a cloud that moved ahead of them. 15-16As soon as the sacred tent was set up, a thick cloud appeared and covered it. The cloud was there each day, and during the night, a fire could be seen in it. This was more than proof of God’s presence. The cloud by day and the fire by night were actual helps and comforts to Israel. The fire at night was obviously a comfort to Israel in the midst of a dark wilderness, and the cloud by day would be a shade from the hot wilderness sun. 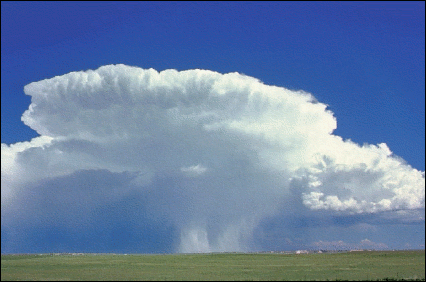 17-19The LORD used this cloud to tell the Israelites when to move their camp and where to set it up again. As long as the cloud covered the tent, the Israelites did not break camp. But when the cloud moved, they followed it, and wherever it stopped, they camped and stayed there, 20-22whether it was only one night, a few days, a month, or even a year. As long as the cloud remained over the tent, the Israelites stayed where they were. But when the cloud moved, so did the Israelites. 23They obeyed the LORD’s commands and went wherever he directed Moses. At the command of the LORD they camped, and at the command of the LORD they set out. While walking by the Sea of Galilee, Jesus saw two brothers, Simon (who is called Peter) and Andrew his brother, casting a net into the sea, for they were fishermen. And he said to them, “Follow me, and I will make you fishers of men.” Immediately they left their nets and followed him. And going on from there he saw two other brothers, James the son of Zebedee and John his brother, in the boat with Zebedee their father, mending their nets, and he called them. Immediately they left the boat and their father and followed him. I have decided to follow Jesus . . . HERE is a song of offering ourselves to the Lord — “Christ is enough for me,” by Hillsong. We did not follow cleverly invented stories when we told you about the power and coming of our Lord Jesus Christ, but we were eyewitnesses of his majesty. For he received honor and glory from God the Father when the voice came to him from the Majestic Glory, saying, “This is my Son, whom I love; with him I am well pleased.”We ourselves heard this voice that came from heaven when we were with him on the sacred mountain. 3Aaron obeyed and placed the lamps as he was told. 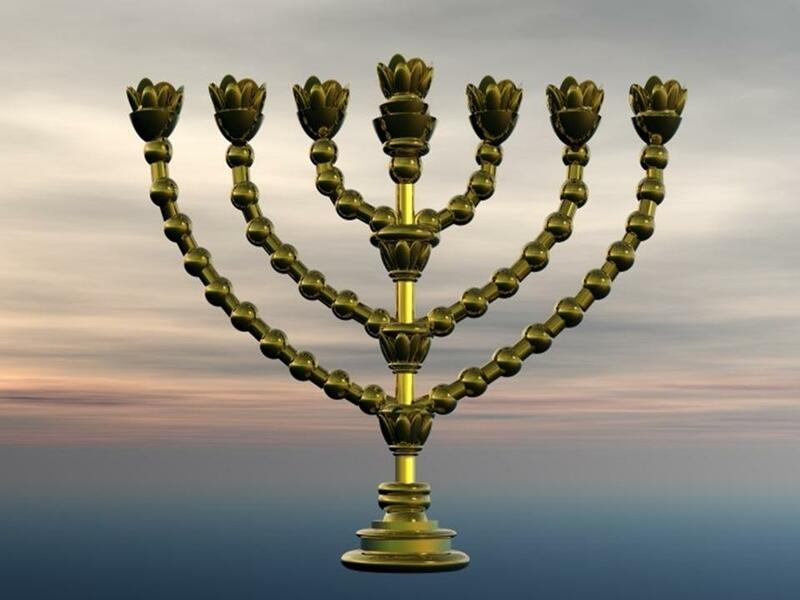 4The lamp stand was made of hammered gold from its base to the decorative flowers on top, exactly like the pattern the LORD had described to Moses. “As for the mystery of the seven stars that you saw in my right hand, and the seven golden lamp stands, the seven stars are the angels of the seven churches, and the seven lamp stands are the seven churches” (Revelation 1:20). HERE is “Jesus, the Light of the World,” a Christmas song from the late 1800’s. I think it will raise your spirits if you sing along! 9Then you, Moses, will call together all the people of Israel and have the Levites go to my sacred tent, 10where the people will place their hands on them. 11Aaron will present the Levites to me as a gift from the people, so that the Levites will do my work. 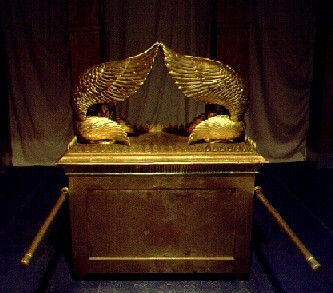 All who expect to share in the privileges of the tabernacle, must resolve to do the service of the tabernacle. As, on the one hand, none of God’s creatures are his necessary servants, he needs not the service of any of them; so none are merely honorary servants, to do nothing. All whom God owns, he employs; angels themselves have their services. What is your service for God today? 12After this, the Levites are to place their hands on the heads of the bulls. Then one of the bulls will be sacrificed for the forgiveness of sin, and the other to make sure that I am pleased. 13The Levites will stand at my altar in front of Aaron and his sons, who will then dedicate the Levites to me. 14This ceremony will show that the Levites are different from the other Israelites and belong to me in a special way. 15After they have been made acceptable and have been dedicated, they will be allowed to work at my sacred tent. 16They are mine and will take the place of the first-born Israelite sons. 17When I killed the oldest sons of the Egyptians, I decided that the first-born sons in each Israelite family would be mine, as well as every first-born male from their flocks and herds. 18But now I have chosen these Levites as substitutes for the first-born sons, 19and I have given them as gifts to Aaron and his sons to serve at the sacred tent. I will hold them responsible for what happens to anyone who gets too close to the sacred tent. A Levite’s time of active service was to begin at age thirty and last until fifty according to Numbers 4:3, 4:23, and 4:30. Yet their formal training began at age twenty-five, with a five year apprenticeship. “Ram and Goat” painting by Moya. and two bulls, five full-grown rams, five goats, and five rams a year old as offerings of well-being, sacrifices to ask the LORD’s blessing. 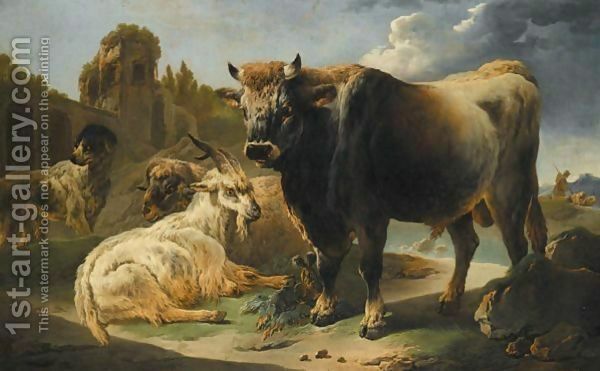 and twenty-four bulls, sixty full-grown rams, sixty goats, and sixty rams a year old as sacrifices to ask the LORD’s blessing. 89Whenever Moses needed to talk with the LORD, he went into the sacred tent, where he heard the LORD’s voice coming from between the two winged creatures above the lid of the sacred chest. The vow of the Nazirite was to express one’s special desire to draw close to God and to separate one’s self from the comforts and pleasures of this world. If any of you want to dedicate yourself to me by vowing to become a Nazirite, 3you must no longer drink any wine or beer or use any kind of vinegar. Don’t drink grape juice or eat grapes or raisins– 4not even the seeds or skins. 5Even the hair of a Nazirite is sacred to me, and as long as you are a Nazirite, you must never cut your hair. 6During the time that you are a Nazirite, you must never go close to a dead body, 7-8not even that of your father, mother, brother, or sister. That would make you unclean. Your hair is the sign that you are dedicated to me, so remain holy. 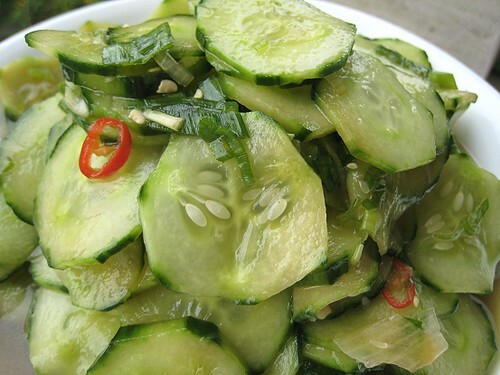 So — The Nazirite was forbidden to eat or drink anything from the grape vine; this was a form of self-denial connected with the idea of a special consecration to God. Generally speaking, wine and grape products were thought to be a blessing (Proverbs 3:10), something to be gratefully received from God (Psalms 104:15). So one’s diet was consecrated. The hair was to be allowed to grow all during the period of the vow, and then cut at the conclusion of the vow. This was a way of outwardly demonstrating to the world that this man or woman was under a special vow. So one’s appearance was consecrated. Dead bodies — even those of a close relative — were not to be approached during the vow of a Nazirite. Separation from death — the effect of sin — was essential during the period of the vow. So one’s associations were consecrated. 9If someone suddenly dies near you, your hair is no longer sacred, and you must shave it seven days later during the ceremony to make you clean. 10Then on the next day, bring two doves or two pigeons to the priest at the sacred tent. 11He will offer one of the birds as a sacrifice for sin and the other as a burnt offering, a sacrifice to please me. You will then be forgiven for being too near a dead body, and your hair will again become sacred. 12But the dead body made you unacceptable, so you must make another vow to become a Nazirite and be dedicated once more. Finally, a year-old ram must be offered as the sacrifice to make things right. 13When you have completed your promised time of being a Nazirite, go to the sacred tent 14and offer three animals that have nothing wrong with them: a year-old ram as a burnt offering, a sacrifice to please me, a year-old female lamb as a sacrifice for sin, and a full-grown ram as an offering of well-being, a sacrifice to ask my blessing. 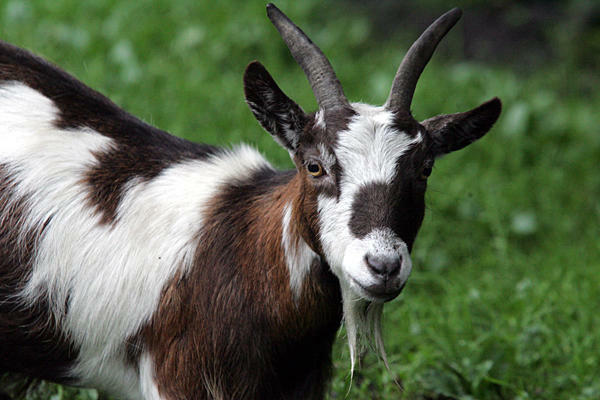 15Wine offerings and grain sacrifices must also be brought with these animals. Finally, you are to bring a basket of bread made with your finest flour and olive oil, but without yeast. Also bring some thin wafers brushed with oil. The vow of a Nazirite ended with a public ceremony, with extensive sacrifice. 16The priest will take these gifts to my altar and offer them, so that I will be pleased and will forgive you. 17Then he will sacrifice the ram and offer the wine, grain, and bread. and put the hair in the fire where the priest has offered the sacrifice to ask my blessing. 19Once the meat from the ram’s shoulder has been boiled, the priest will take it, along with one loaf of bread and one wafer brushed with oil, and give them to you. 20You will hand them back to the priest, who will lift them up in dedication to me. Then he can eat the meat from the ram’s shoulder, its choice ribs, and its hind leg, because this is his share of the sacrifice. After this, you will no longer be a Nazirite and will be free to drink wine. 21These are the requirements for Nazirites. However, if you can afford to offer more, you must do so. The three-fold repetition of Lord does not prove the Trinity, but it certainly illustrates it. HERE the Concordia College Band sings (!) 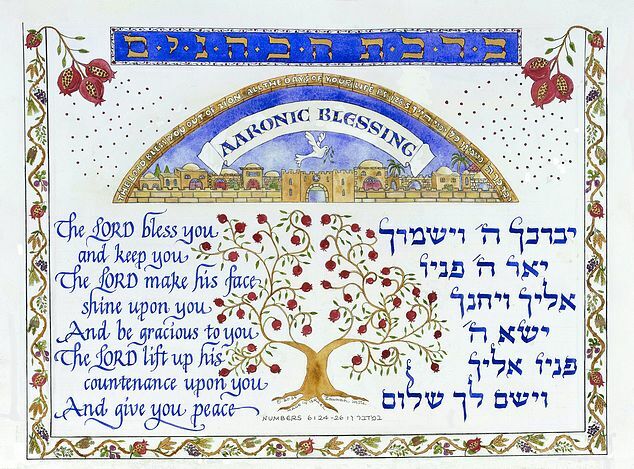 “The Lord Bless You and Keep You” by Peter C. Lutkin. You are currently browsing the DWELLING in the Word blog archives for June, 2015.